We are half-way our very first week of school. It has been wonderful! I absolutely love my class! We have been spending these days by learning classroom expectations and routines, and getting to know each other. Getting to know each other involves become familiar with my students needs, therefore IEPs. 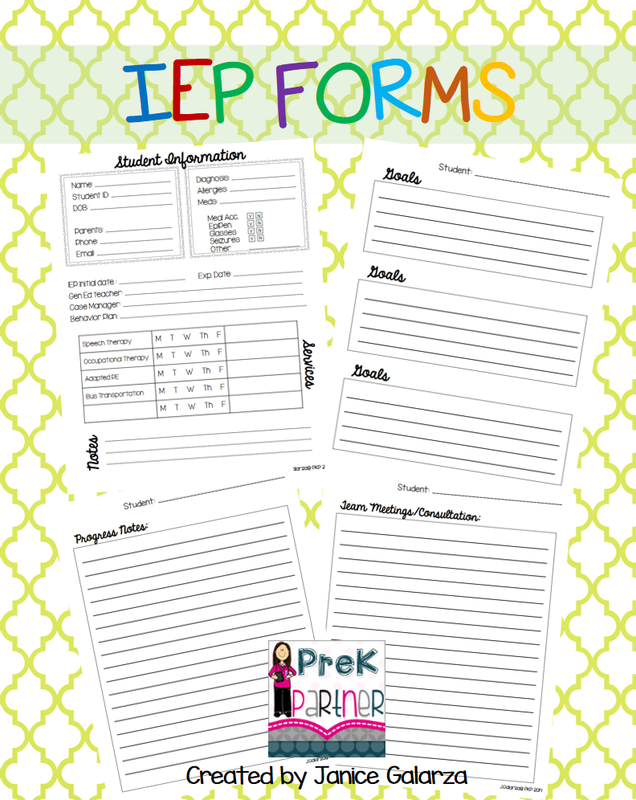 Because I am teaching an inclusion class, I have several IEPs to keep track of - I have created these forms to help me organize my paperwork and have my team meeting notes in one place. Click on the image to purchase these forms. I am so inspired by this class....love of future projects in mind!! Peek at my Week: First Week!